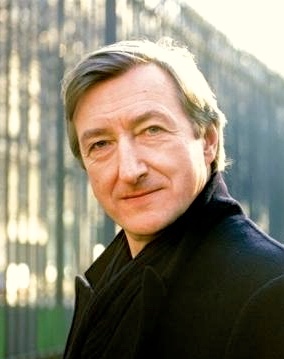 Note: Julian Barnes was WINNER of the Booker Prize in 2011 for The Sense of an Ending. He has also won major international literary awards in the US, Austria, and France for his twenty-two previous books. “First love fixes a life forever: this much I have discovered over the years. It may not outrank subsequent loves, but they will always be affected by its existence. It may serve as model, or as counterexample. 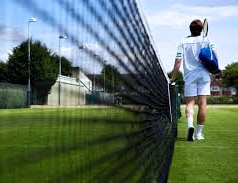 It may overshadow subsequent loves; on the other hand, it can make them easier, better. Though sometimes, first love cauterizes the heart, and all any searcher will find thereafter is scar tissue.”—Paul Roberts. 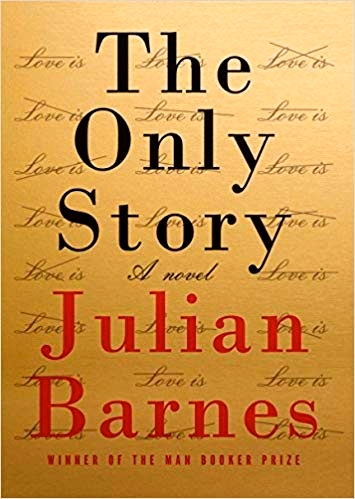 In The Only Story, British author Julian Barnes returns to examine, once again, some of his most encompassing themes. As in his Booker Prize-winning The Sense of an Ending, he writes a “character novel,” in which a main character examines his experiences with love, loss, memory, and time to try to find a grander truth about life, something not affected by immediate emotions, the sentimental memories of the good times, or the tendency to see what one wants to see in the past. Here Barnes examines the intensity of a first love and its effects on main character Paul Roberts’s entire life, emphasizing that no matter what the outcome of such a love is – happy, sad, long-lasting, or brief – that its effects on a life are, in fact, ineradicable. At the outset of the narrative, main character Paul Roberts indicates that he is not sure how much scene-setting – time, place, and social milieu – he should do: “I’m not sure how important they are in stories about love. Perhaps in the old days, in the classics where there are battles between love and duty, love and religion, love and family, love and the state. This isn’t one of those stories. But still, if you insist….” Continuing in the first person, he indicates that his story is from more than fifty years ago, and takes place about fifteen miles outside of London, in “The Village,” part of “the stockbroker belt” from which men commute to London by train. He goes on to describe everyday life at a time with few TV channels, little drinking done during the week, few stores, fewer diversions, and all “sexual items” available only if you travel to London. Their relationship continues, not as a summer fling, but as a real, lasting relationship. There would be no story if there were no problems, big ones, for Paul and Susan and, eventually, their families, but to detail those here risks spoiling the story for potential readers. It is enough to say that Susan’s marriage has been essentially dead ever since the birth of her now-grown daughters, and with Paul in college, where he has other social interests, the relationship grows very slowly for over a decade with increasing complexity. Problems arise as their desire to be together and their age differences limit their social interactions with the world at large, and as each of them ages, their interests grow in other directions. Still, author Barnes keeps their stories fresh and intriguing for the reader, and an element of suspense continues despite the indication on the first page that this story is a memory from fifty years ago. 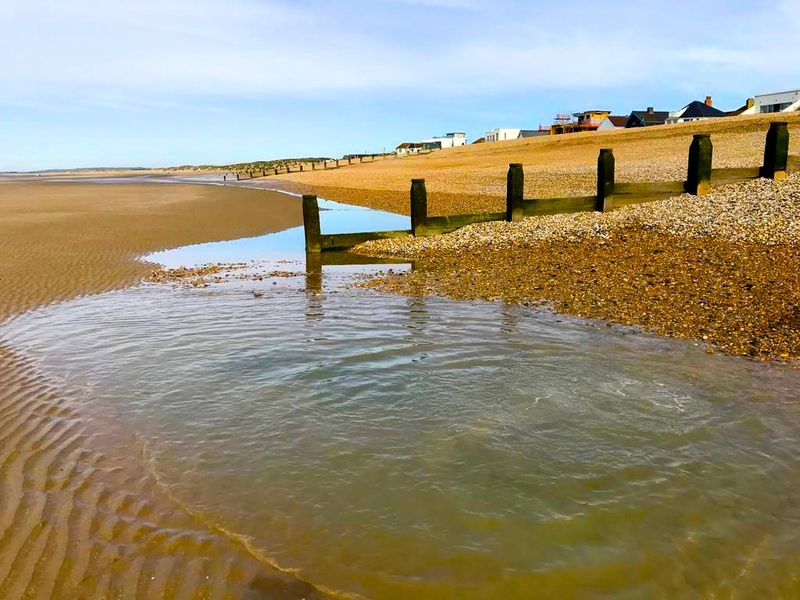 The only escape Paul and Susan have is a brief vacation together to Camber Sands. One way Barnes accomplishes his literary goals is to divide the novel into three parts, with a different point of view for each. Part One is the story of young Paul and mid-life Susan, told in the first person by Paul, whose attraction to Susan feels genuine, despite their unusual age difference. Their mutual friendship with a tough neighbor woman named Joan, a friend almost Susan’s age, provides new viewpoints and offers different insights into life, love, and the community here and throughout the novel. Joan has never been successful in love and has little tolerance for nonsense, serving as a bridge between the two main characters. Part II skips a few years forward, when the relationship of Paul and Susan is already well established. Susan has developed problems which Paul finds difficult to deal with, and as he tries to do so, her past with her husband Gordon and her relationship with her children is revealed. Here Barnes begins with the first person point of view which he has used in Part One, then slowly shifts to the third person as he narrates events more objectively, and provides some distancing between Paul and the reader, as the second person “you” emerges as a main “voice” and makes him sound more critical. The pronouncement that “You are an absolutist for love, and therefore an absolutist against marriage,” among other statements, feels like an attempt by Paul to imagine advice to him by an outside source who might take his side as some problems begin to spiral out of control. Looking at a cheap print of Van Gogh’s “Crows in Wheatfield,” Paul remembers a time in which someone told him that if he lowered his expectations in life, then he would never be disappointed. Part III, which takes place fifty years after Paul and Susan first meet, is told completely in the third person as Paul remembers events, and updates the reader on how he has spent the last forty years. Intense in its revelations, it also remains objective about the conclusions of the relationship and its long-term effects. With all its well wrought details and its many complexities, Barnes carefully structures the novel to show how this story of first love may also epitomize the experiences of the reader and others who have ever experienced true, intense love. The result, an engrossing and expansive study of two very different characters, creates both empathy for Paul as he deals with love’s complexities, and the growing recognition by the reader that Paul Roberts is not alone .